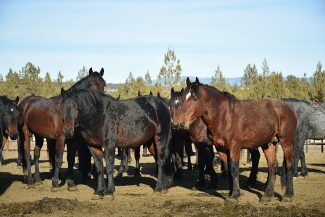 The dust in Modoc County, California has settled and the frenzy regarding the wild horse gather on the Devil's Garden Plateau has all but died down. However, the wild horse issue is still at the forefront of Laura Snell's mind. The Modoc County Farm Advisor was often the scapegoat for negative media coverage regarding the wild horses in Modoc County, but her hard work appears to be paying off. "Things went great in terms of the gather," said Snell. Of the 4,000 head of feral horses calling the Devil's Garden home, 932 were successfully gathered and processed by the Forest Service. With those 932 head off The Garden, Snell happily reports that plans for another gather in the fall of 2019 are in the works. Of the 932 horses gathered, 261 of those horses stayed behind at the Double Devil Corrals in Modoc. 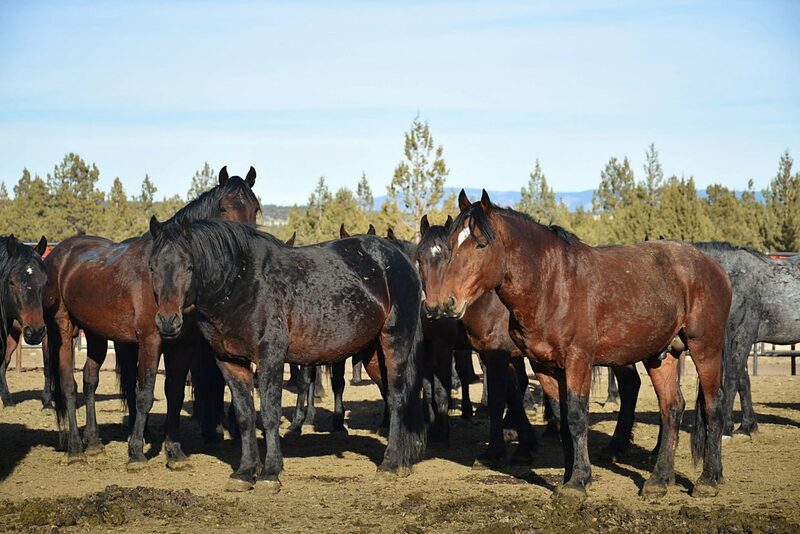 The 261 horses that remained in Modoc were older horses, roughly half being pregnant mares. Despite their age, Snell and her colleagues saw a huge response from the public about rehoming these particular horses. Initially, Snell faced extreme pushback regarding the proposed Sale With Limitations program which allowed horses to be sold to private parties rather than adopted. The program would make the Devil's Garden horses available for purchase for as low as one dollar per head with the stipulation that horses would not be purchased with the intent of slaughter or consumption. Despite all the backlash Snell received, including death threats and lawsuits, the Sale With Limitations program has successfully placed all but 58 head of horses from the Double Devil Corrals. "A vast majority of those horses were sold for $1 to wild horse sanctuaries," said Snell, noting she was happy to see activists stepping up to the plate. While the Double Devil Corrals have seen huge success with horses finding permanent homes, the remaining 653 horses that were sent to the Litchfield Wild Horse Corrals have yet to be processed for adoption or purchase. With the Northern California region being hammered by winter storms, the BLM has been set back tremendously. "We haven't had a break in the weather for two solid months," said Snell. Horses sent to Litchfield represented the much younger and viable stock from the gather, and Snell believes this is a huge opportunity for people wanting to get solid horses for such a low cost. The horses at the Litchfield corrals, once processed, will be offered for adoption three times and if not adopted they will be available for the purchase program. Snell hopes that many of these horses will be ready for the public by the end of March and substantial progress must be made by the end of June. "This (the number of horses adopted/sold from Litchfield) will have an impact on how many we can be gathered next year," she said. Despite the setback being faced at the Litchfield corrals, the "climate" in Modoc County is improving. "Things are much better than they were a year ago," said Snell. With two permits being deemed complete non-use for cattle grazing in the Modoc National Forest due to wild horse populations, ranchers in the area have been hit hard by the lack of initiative in previous years. However, Snell was happy to report that conversations are being had between the Forest Service and local permit holders to allow cattle back onto those permits this year. With just over 900 head of horses being removed from the permits, the opportunity for cattle to once again utilize the range is becoming the light at the end of tunnel for many in Modoc County, California.